We, at Dreamstel, build world-class web and mobile apps using the latest technologies to keep our products trendy and excellent to use. 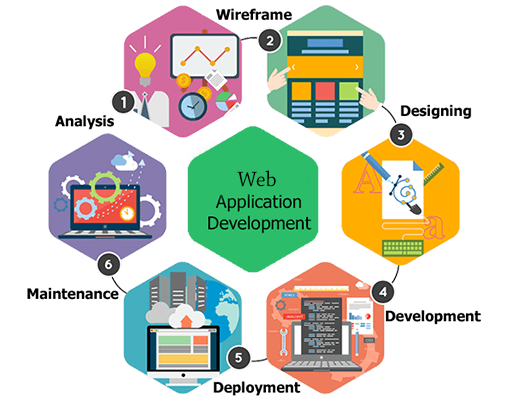 We offer excellent web application development services that are focused on offering web 2.0 application development solutions for you. The technologies we use is always up-to-date. We are specialists who follow the latest industry trends and deliver technically complex and yet easy-to-use solutions while meeting the client requirements within the given budget. We develop advanced systems that resolve complex business logic dealings. No matter how large amounts of data and transactions, we supply you with trustworthy innovations, web services for mobile applications, and web applications solutions that would compliment your business in a variety of ways. We focus on increasing your returns in the minimum amount of time and follow a strategic plan while working on your projects. Looking for a Productive and Responsive Web App? You’ve Found Your Go-To Experts. Our Expertise: We have expertise in almost all of the latest technologies today. No matter how major the platform we have professionals excelling on most of them. Our Solutions: We offer device agnostic solutions that are mobile-ready and well tested on most of the mobile devices popular today. Our Expert Proficiency in API Integration: No matter how difficult the software integration, we can handle it, with grace. Integrating API development is our forte. Our Skills: Skills and creativity matter more than people think. Our ideas are creative and we are flexible. We have a excellent reputation of creating solutions that are scalable and extensible. Our set of Java/J2EE development services for web, mobile and java based apps is all you need for simplistic and highly productive applications. No matter how complex or simple the integrated solutions in your business are, we’re going to leave you with the best service in Java and J2EE web development. It is easy to learn and is platform-independent. It was designed to debug, compile, be easy to use and to write. It lets you create modular programs and reusable codes. We Offer Customizable Java Application Programming services. Our Java Mobile Application Development Service is Secure and Dynamic. 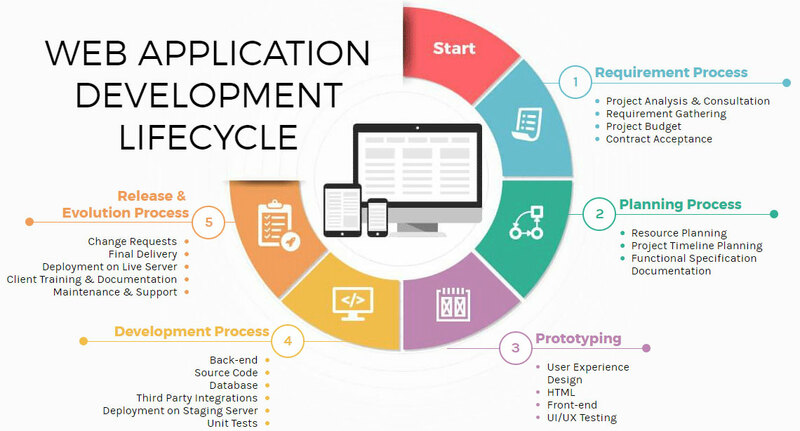 The J2EE Application Development Maintenance and Support We Provide is Outstanding. Ruby on Rails is one of the best ways to build a web application. We offer a robust web application framework, that follows a model-view-controller standard. What you get is a default structure for web services and web pages. It offers a sturdy framework, and has evolved tremendously over the past decade. Strong applications can be developed with Capybara, RSpec and other such testing tools. The development is rapid and offers a provision of re-usability of software packages that are modular. We provide excellent solutions to all our customers at the most unbeatable rate. We use the latest of technologies and methodologies to ensure a trendsetting job is done. You never have to worry about security as all your information is kept confidential and secure. Microsoft.Net software framework is efficient and we have been working with the framework since several years. We create scalable and flexible mobile-ready web applications that are exceptional in performance and turn out to be standalone solutions for your business. To have a virtually brilliant user interface and experience. To have an object-oriented environment for languages for smoothly carrying the codes that are stored and executed. To have proper access to the .Net Schema Library. For accessbility of cross-stage relocation. The applications are developed in .NET for desktops and mobile phones. Are you looking for a high-level functional programming language? Scala Launguage is efficient enough to reduce the time taken for development. If you need a reactive user-centric web application, you’re going to want Scala web app development services. The interoperable language with Java and .Net framework makes it easy to adopt. It runs on the JVM which makes Scala stacks freely mixed for a seamless integration solution. The type inference doesn’t feel static at all. It works for us and it works for the world and it will certainly work for you. It is think-principled and it offers multiple inheritance options. It offers pattern matching. It matches them against class hierarchies, sequences and more. We use Scala to develop extendable and customizable web applications for you. Our Scala based API development and integration services are created with any third party software solutions or databases. We can also migrate your current legacy solutions and services to the flexible Scala architecture, in the most suitable manner. You require special expertise for you business to reach the heights you expect to and we’re assure. PHP is the most popular web development language today, and it can create every type and scale of application. The apps developed are easy to use, and widely popular. We have created and continue to show our skills in developing PHP apps regularly. PHP is simple to learn and simpler to organize. It is scalable, secure and offers robust solutions. The language offers a rapid application development at reasonable and reduced IT costs. The data warehouse apps built are high in performance. The app development is automated and the expenses are reduced. We offer complete web solutions from complex to the simplest of websites and portals that help in complex financial systems. Our web services include Oracle, MySQL, NoSQL and Microsoft SQL databases such as Cassandra, CouchDB, MongoDB and more. Our designs are exceptional and our design tools include Bootstrap, AngularJS, EmberJs, and more. It avoids unnecessary work and focuses on keeping the application organized. The MEAN Stack comes with a powerful testing tools. We offer complete range to Mongo Database services, and that includes migration, integration, implementation, development and deployment. We also help you migrate your complex legacy solutions to cloud and mobile-ready MEAN stack based solutions. We can develop complete backend using NodeJS and get your entire system organized with the ExpressJS framework. Salesforce is the world’s #1 CRM (Customer Relationship Management) software. It has the tendency to transform the manner in which your company operates its business, manages the sales, and works with the employees and partners. Giving you an experience of an unmatched cloud expertise, the software lets you build and keep innovative assets. You would be able to transform everything from how your customer service representatives answer customer queries to how the sales agents pitch your product and services to potential customers. There are no expensive setup costs, no maintenance, and you can manage all the interactions with your existing and target clients with Salesforce. 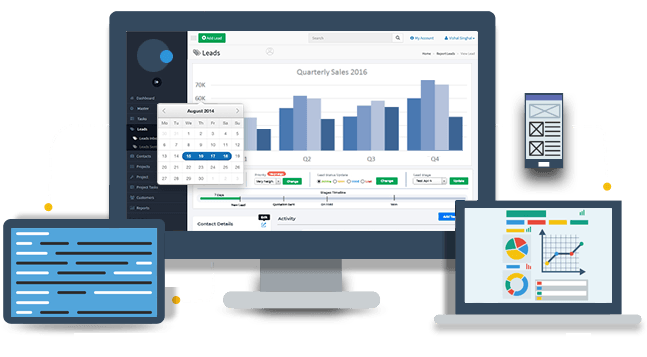 We would assist you with Lightning development in Salesforce, Salesforce.com mobile app development, Salesforce AppExchange, Salesforce communities set up and other challenging tasks related to the CRM. Our focus is on the ROI (Return On Investment) of your business. We believe in a multi-disciplinary approach. Your organizational goals are sure to be met as we make sure we keep up with the latest releases related to the software. We offer you innovative mobile sale apps development options beyond our consulting and customization services. You would benefit with our collaboration solutions, data analytics, and a whole new capacity to double your profits while you address challenges of various complexities. We let you fill us in on your ideas and keep you up to date with the progress reports. 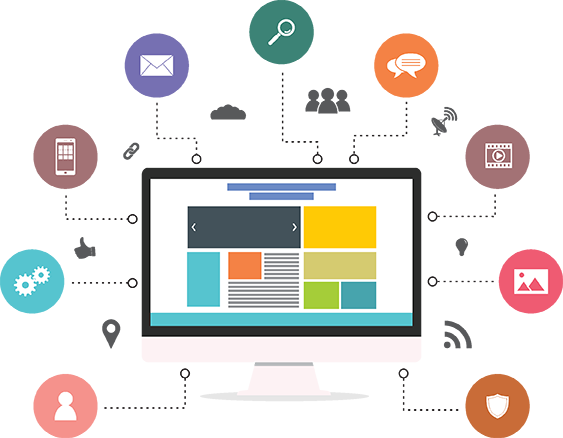 Maximize Online Presence - We build well-designed web applications so that proper marketing is possible. Our designs are responsive and they promise maximum online presence. Captured Audience and New Leads - We keep UI and UX in mind while we develop web applications for you. You’re going to have a easier to use website which would be user and viewer friendly. Originality - You can be sure of original designs and excellence of work with us. Do not worry about plagiarism with the content either. We’re here to give you an experience you’re going to enjoy and recommend.